On his return from Cleves, estimated around 1756/1757, Theodore Victor was immediately able to start work in his father’s workshop. 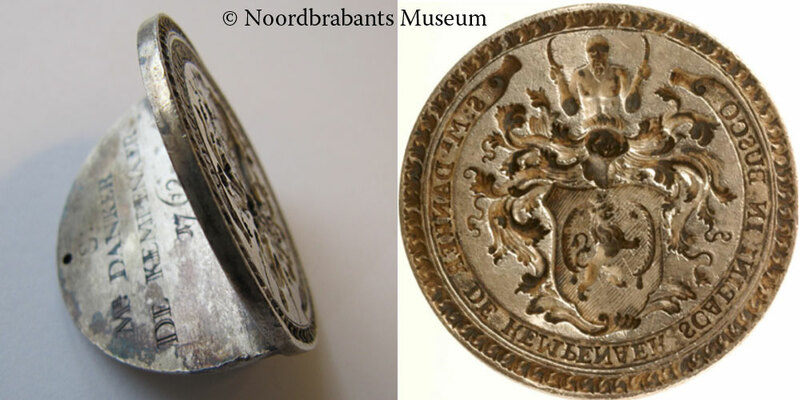 The Noordbrabant Museum in 's-Hertogenbosch maintains an extensive collection of seals. Some of these can certainly be ascribed to the young engraver and date from the period 1757-1772. 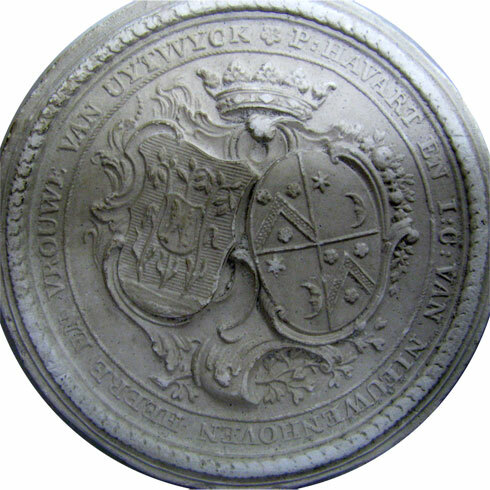 Seal of Danker de Kempenaer, alderman of 's-Hertogenbosch. Made in 1762 by Theodore van Berckel. We can not really be sure if Th.Victor, apart from engraving, also worked as a silversmith. Although he had been trained for the trade, there is no trace of him having passed his master trial in the archives of the guild of Gold-and Silversmiths. Palier maintains that Th.Victor began trading as silversmith in Rotterdam. It can not be totally discounted that Th.Victor was indeed allowed to operate as a master silversmith, but apart from Palier's note, no other proof exists. 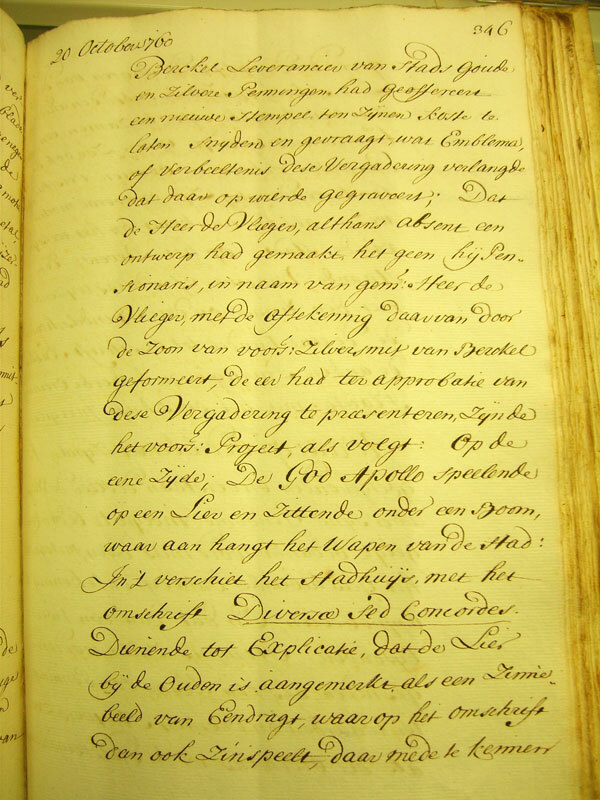 Th.Victor worked for his father until 1764 in the workshop in the Kerkstraat in 's-Hertogenbosch. He will probably also have busied himself in silversmithing but undoubtedly his main task will have involved all engraving activities. The city council of 's-Hertogenbosch met in October 1760 to discus the design for a new city hall medal. The young Theodore Victor is mentioned for the first time, as the producer of a city hall medal, in the minutes of the 20th October. His name would re-appear many times later on. The next year a ‘single’ and the year after that a ‘double’ city hall medal (of double weight and a diameter of 32mm), with identical subject, would appear. 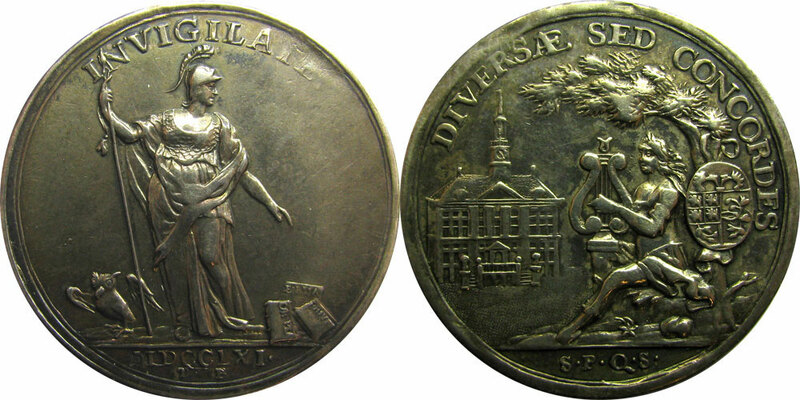 City hall medal of 's-Hertogenbosch dated 1761, diam. 28 mm. Little further work from this period is known. He possibly produced a large number of seals for private citizens of Den Bosch. We recognise his work often in the use of letter punches in a personally characteristic font style. Private seals rarely carried text and it is therefore difficult to ascribe them to a particular engraver. There is however one seal that, for the above reason, can be identified as the work of Van Berckel. It concerns the seal for the married couple P.Havart and I.C. van Nieuwenhoven. However, this seal probably dates from his Rotterdam period. More about this on the next page. Plaster cast of a seal for the Havart-Van Nieuwenhoven family.